We all know Italians are famous for their pasta dishes. From spaghetti to gnocchi, from marinara sauce to Bolognese sauce, Italians know how to make pasta! One of the most widely known and loved Italian pasta recipes is Carbonara. It may be surprising but Carbonara is actually a rather recent Italian dish that has spread quickly in popularity. 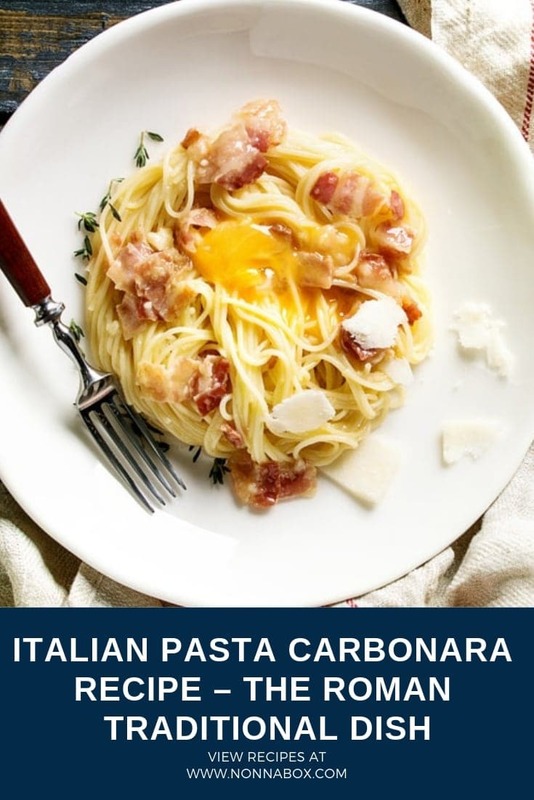 Simple to prepare and delicious to eat, everyone should have an easy pasta Carbonara recipe in their cookbook. It is hard to date back the exact origin of pasta Carbonara recipe. However, there are several theories on where and how Carbonara was first created and how got its name. 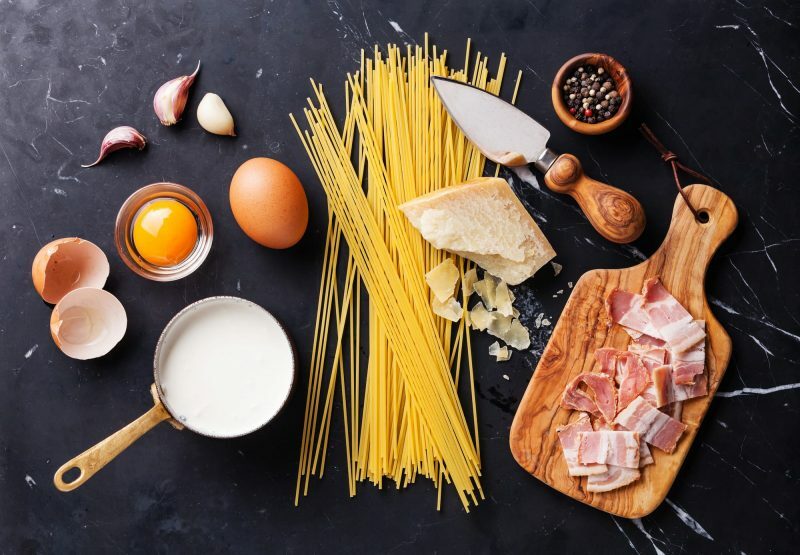 Consisting of egg, hard cheese, pancetta, pepper and pasta, Carbonara may have an elusive history but the ingredients are almost always the same. Alla carbonara means “coal workers style’ and it is thought that this hearty dish was a popular food among coal workers. Others attribute the name to the black pepper used in the dish which is reminiscent of coal flakes. Some sources suggest Carbonara is a tribute to the Carbonari, a secret society who pushed for Italian reform in the early 1800’s. While a very famous restaurant in Rome which goes by the same name, La Carbonara, yet claims that they invented it. Carbonara may also have originated during WWII when American officers aided the liberation of Rome and eggs and bacon were their typical rations. Regardless of its origins, Carbonara has a very recent history and only appears in Italian cuisine texts in the 1940’s Before this, recipes for Carbonara were unrecorded and clearly missing from one of the most well known Roman Cookbooks, La Cucina Romana, which was written in the 1930’s. While pasta Carbonara has its staple ingredients that truly classify the dish, there are also many variations. By definition, Carbonara is simply an Italian pasta with egg, hard cheese, pancetta and pepper. Just four ingredients, anything additional is simply a bonus! One ingredient that is noticeably vague when defining Carbonara is the type of pasta for this dish. While most Italian pasta dishes use a specific pasta shape, in pasta Carbonara recipe any type of pasta will do. Spaghetti is the typical choice for Carbonara however fettuccini, rigatoni, linguini and bucatini are all very common in Carbonara recipes. 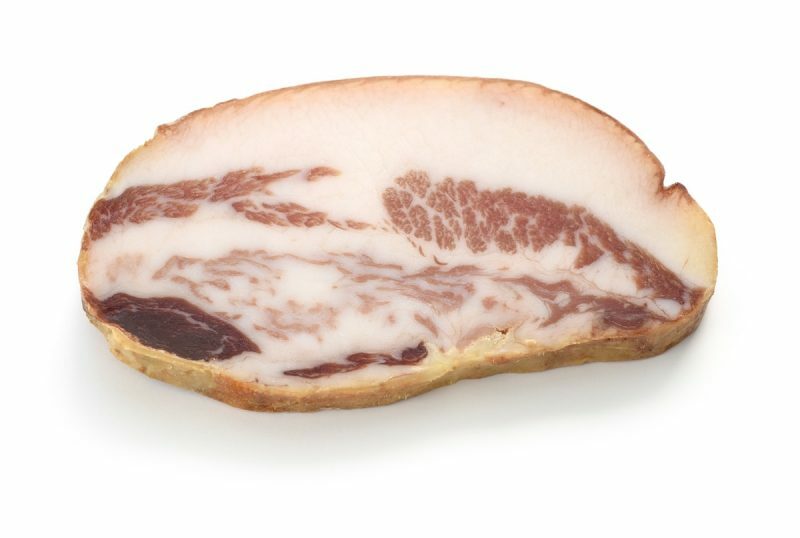 While pancetta is the traditional meat in pasta Carbonara recipe, bacon lardons and guanciale are also popular choices. The ‘hard cheese’ is most commonly pecorino Romano, but many also use parmesan. 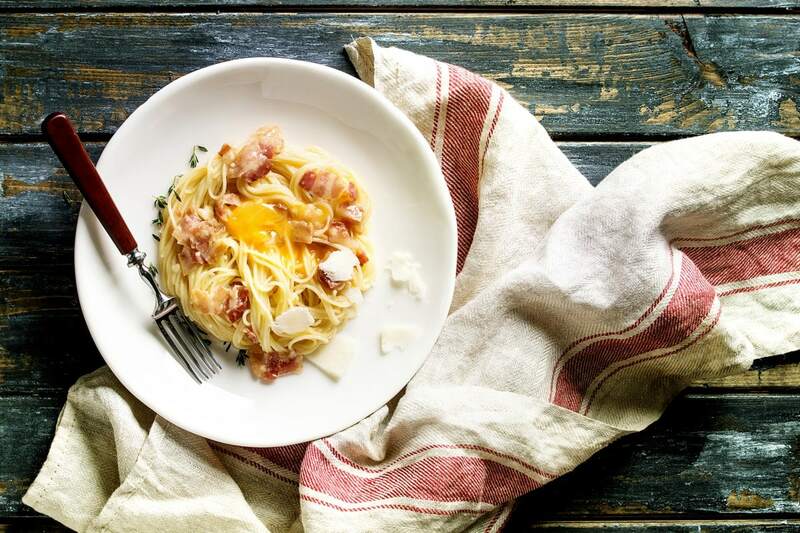 The use of raw egg and black pepper is a must in Carbonara, no matter what recipe you choose! If you are wondering where the cream is in this list of ingredients, you are not alone. Many modern recipes for pasta Carbonara include heavy cream, garlic and onions, but these are not the traditional Carbonara recipes. As a matter of fact cream, garlic and onions are not part of this recipe in Italy. Traditional Carbonara gets creamy through the use of egg and cheese. Adding cream can be an option if you plan to use short pasta which can hold a thicker sauce. Many in the United States also add peas, mushrooms and other vegetables to the Carbonara. The dish will continue to evolve over the years, especially since it is still young in the culinary world! Making pasta Carbonara is surprisingly easy and quick and it’s a perfect dish to throw together anytime. The pasta is boiled and then the cooking water is strained and sometimes used in the sauce. The mixture of raw egg, cheese and pepper gets on top of the hot pasta where the egg cooks using the heat from the pasta rather than direct heat. This method makes the sauce creamy and prevents the egg from curdling. Occasionally the meat for the carbonara is briefly fried before joining the pasta. Pasta Carbonara can be a convenient one pan dish! We may not know the true origin of pasta Carbonara recipe, but it is definitely an Italian dish that is here to stay. Skip the onions, skip the cream, grab some quality pancetta and whip up a traditional Italian Carbonara recipe today. It will only take a matter of minutes to create a delicious and tasty dish. It’s easy to see why pasta Carbonara became a staple of Italian tradition! Pasta alla carbonara is one of the most famous Italian recipes, not only in Italy but also all over the world. Many are the variations of this recipe, the traditional Italian recipe though doesn't have lot of ingredients. Make this recipe and let us know how it turned out! In a sauté pan, heat the olive oil and sear the guanciale until crispy on the outside. Do not overcook or the meat will get hard and tough! Bring a large pot of salted water to a boil and cook the pasta until al dente. Strain and reserve one cup of the pasta water. Place the pasta in a large heated bowl and pour the egg mix over the top. Toss together, adding some of the reserved cooking water if needed for extra creaminess. Once the mix is combined and the sauce has thickened slightly from the egg cooking, add the guanciale. Serve while hot with extra cheese grated over the top.